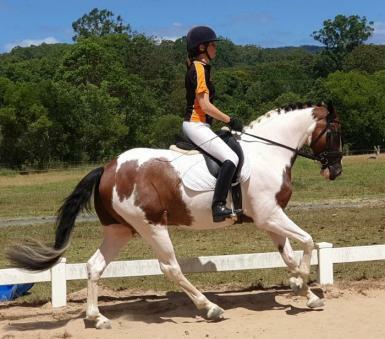 Attractive, sporty and versatile bay tobiano/clydie X gelding for sale. Very sensible, no fuss and tries hard to please. Adapts to new environments very quickly. 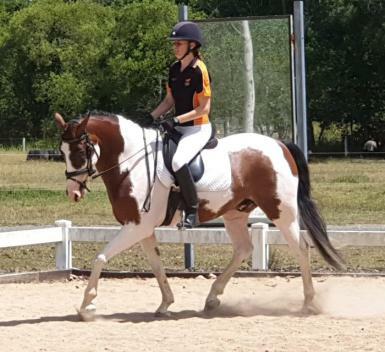 Jester was ridden by a highly skilled and experienced general horseman twice a week for 4 months up until 2 and a half weeks ago when he was sent to a professional dressage trainer where he has made and continues to make great progress. 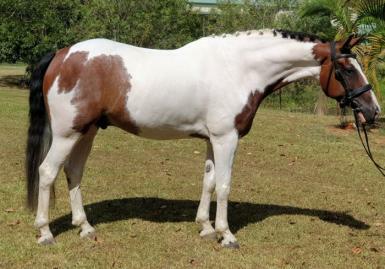 He currently has the basic education to progress to the specific equestrian discipline of his new owner’s choice. 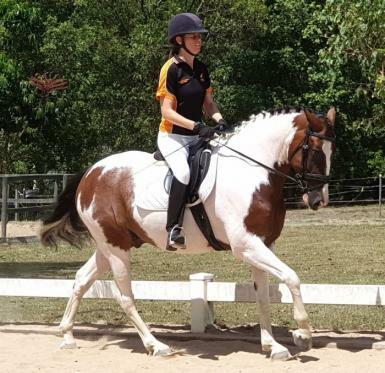 Has the potential for pony club, inter-school equestrian and/or amateur dressage. Very friendly and loves people. 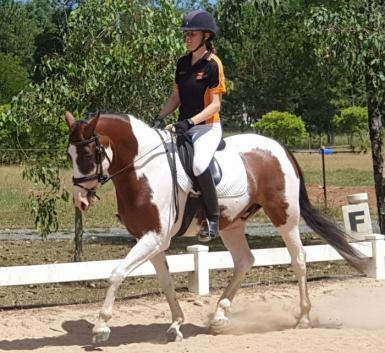 Jester is very straightforward to handle and do everything with, including trimming, floating, worming and riding around the paddock. He is a good doer and has good feet (currently unshod). No paddock vices. 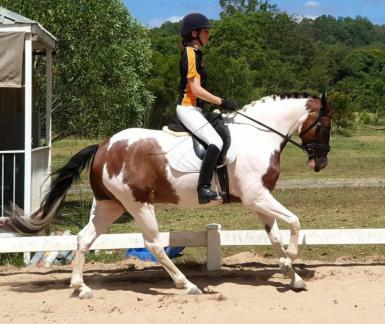 Has been ridden on trails and roads and taken to pony club. 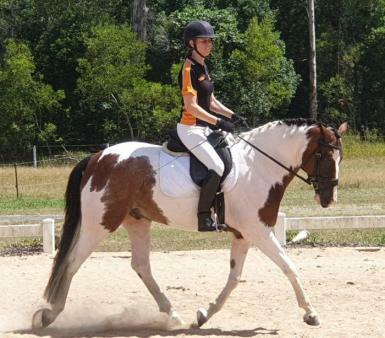 All vaccinations including Hendra are current. 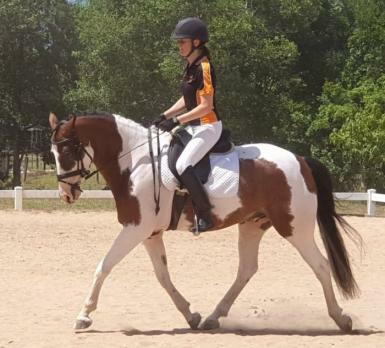 Rider in photos and video is 175cm tall.